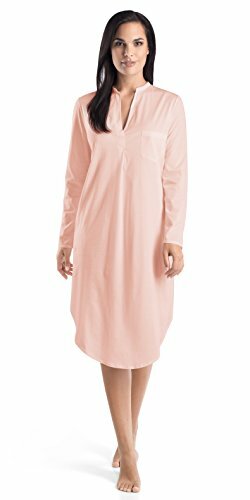 Beautifully draped, the Hanro Cotton Deluxe long sleeve button front gown is tailored from 100% Pima cotton, softly mercerized for extra comfort. Fine voile trims and pocket details provide a modern touch. Features mother of pearl buttons and flattering mandarin collar.